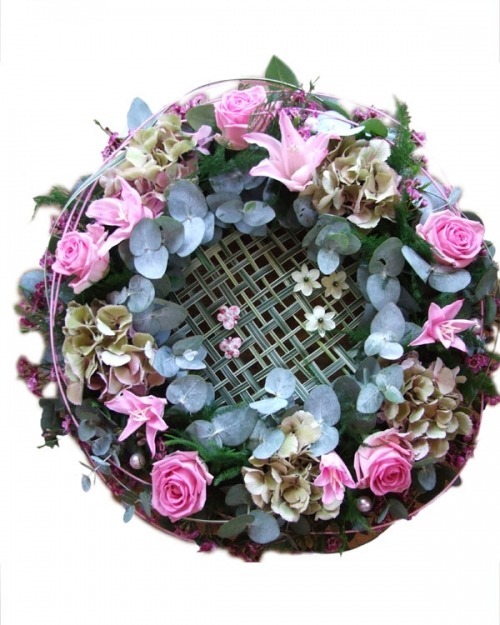 An innovative version of a classic A creative twist on a traditional wreath, woven grasses add an extra design element within the circlet. Flowers available in pinks as shown, or fresh whites. 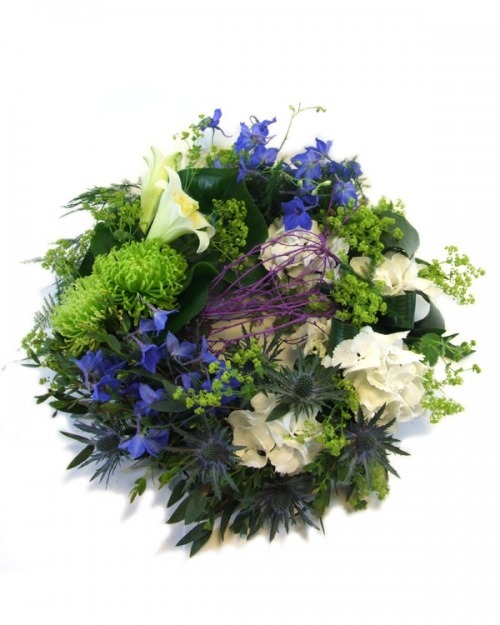 Flowers will change with the time of year to enjoy seasonal varieties. 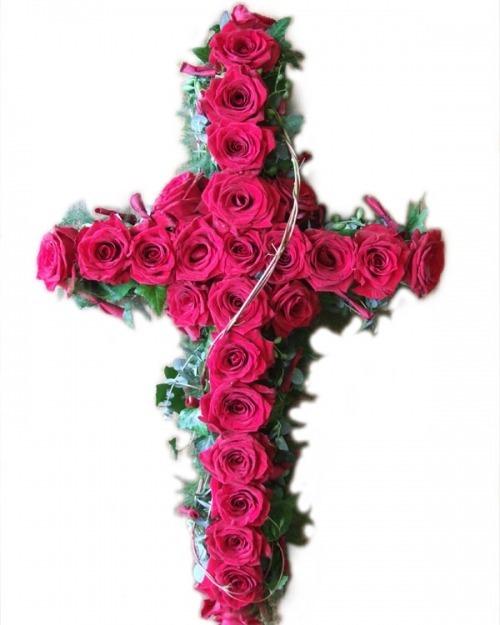 A symbolic cross of red roses A beautiful cross comprised of large headed red roses on a mossy bed of soft foliages with rolled rose petal and twisted vine detail. Can also be created in white. 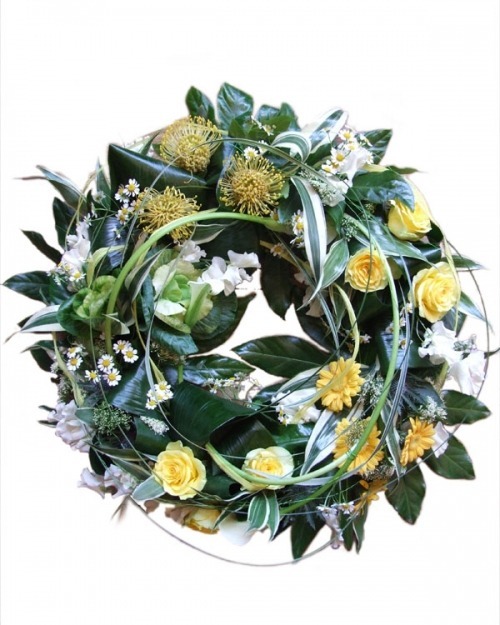 Spring colours, all year round Curvy stems spiral through glossy folded leaves and threaded grasses in a swirling floral tribute in warm golds, pale lemons and fresh whites. 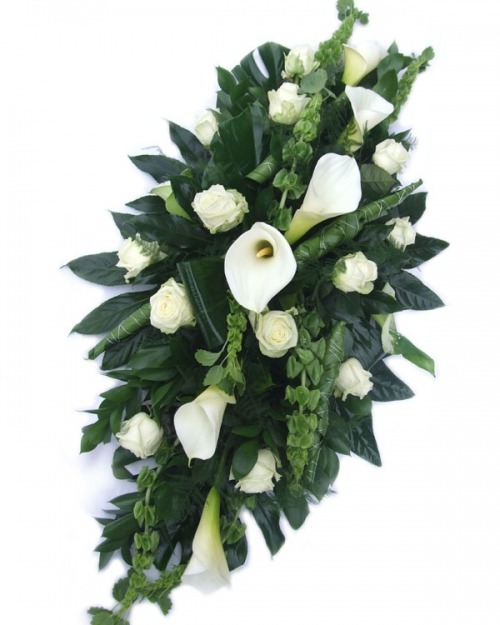 Flowers are grouped for greater impact. 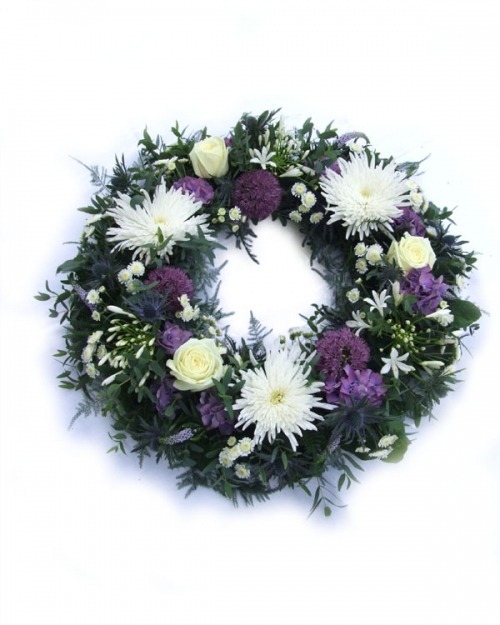 Scottish style tribute A very popular tribute including lots of thistles, purples and white roses with other seasonal flowers arranged in a double ended spray with complementing foliages. 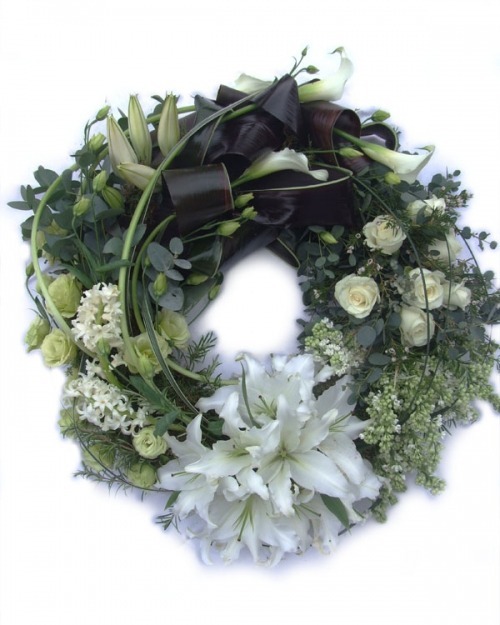 A modern classic grouped design An out-of-this-world circular design in distinct groupings, including fragrant lilies, textured wood and seasonal white flowers for a classic modern look. Emphasis is on visual movement and contrasting textures, with swirled grasses and glossy folded leaves woven between the flowers. A very precise heart design. 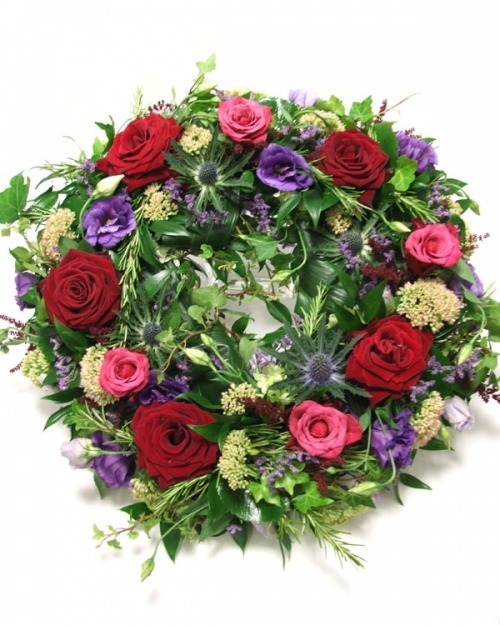 A beautifully unique Floral Haven heart shaped design, often chosen for remembrance. 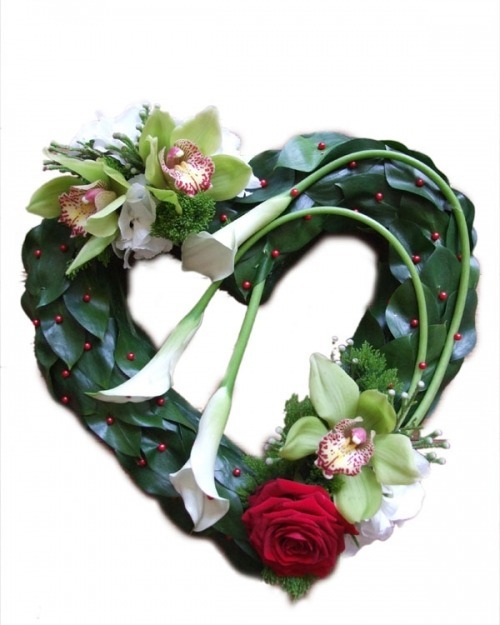 The heart is comprised of overlaid leaves with looping calla lily stems and clusters of elegant orchids. 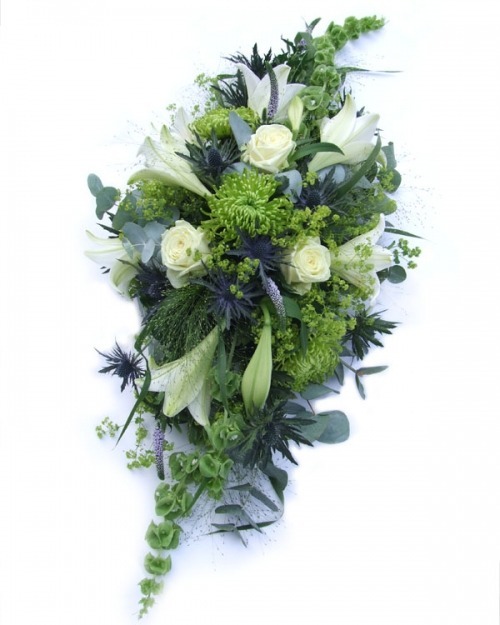 The single red rose is optional and can be substituted for white. 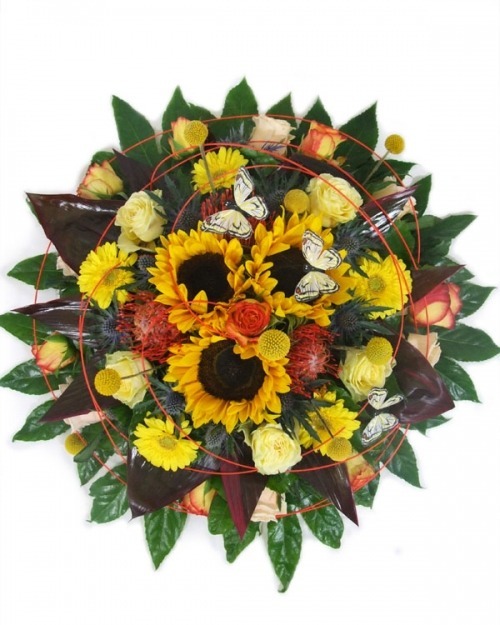 Bright colours for a dark day Rich, hot golds and glowing oranges flowers shine between glossy black leaves in a puddle of sunshine colours. 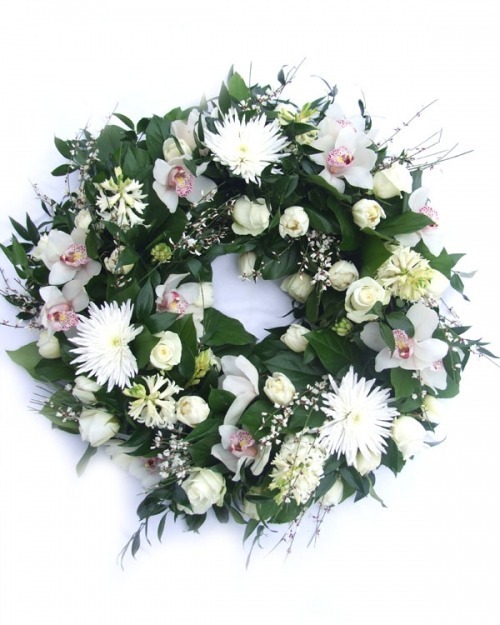 This is a fresh and funky floral tribute suitable for a man or woman.